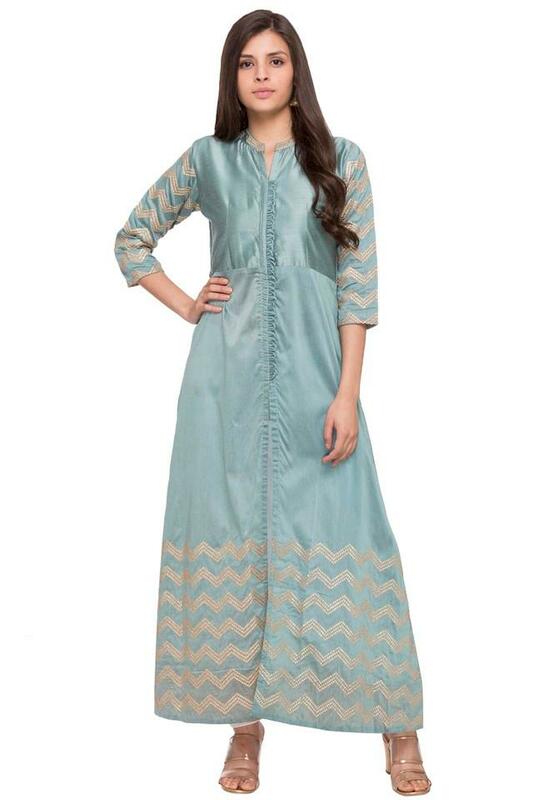 Cut to a relaxed silhouette, this A-line kurta from Soch will grace your look at special events. 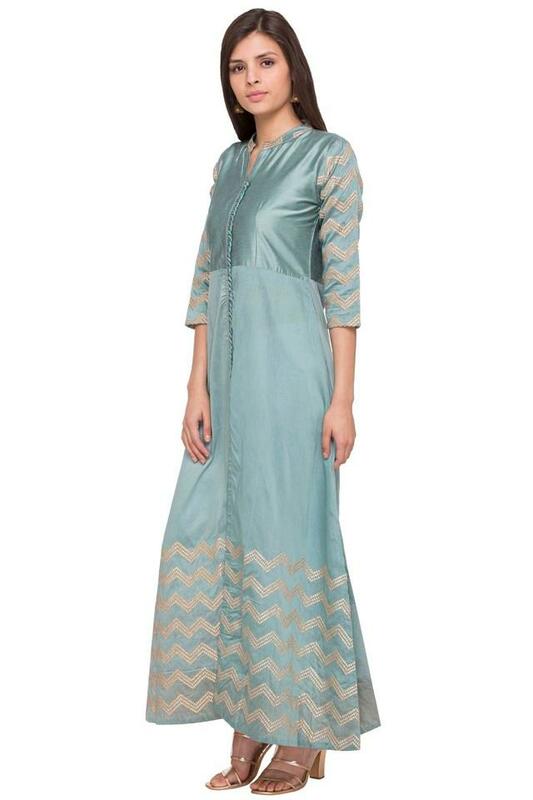 It is made from good quality fabric and stays strong against the skin. 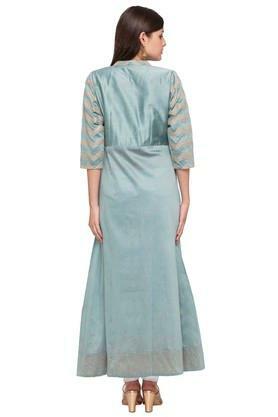 It has three quarter sleeves and a mandarin collar that make it a comfortable wear.